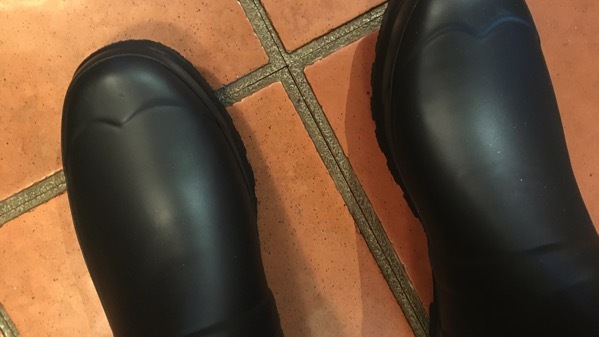 I’ve been looking for good rubber boots for using at the northern outpost for quite some time (rain, heavy dew). I decided recently I’d get ones made by Hunter, if I could find them on sale. And I did! Via the web. Since they were so popular, hmmm, back-ordered…and today they arrived! Yay: they fit! 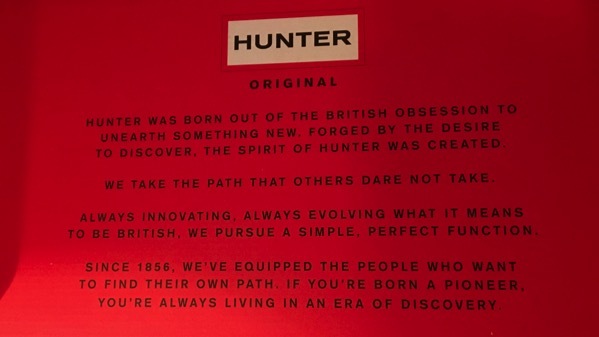 Hunter is the Queen’s brand, as in Elizabeth, as in “The Crown.” Hunter’s are made in Scotland…or they were; China now? Anyway, the main corporate offices are in Edinburgh. This entry was posted on Thursday, 29 November 2018 at 6:55 pm.